Actor Om Prakash was born in Koocha Beli Ram inside walled City of Lahore, on 19th January 1919, started his career at All India Radio - Lahore, with his famous character "Fatih Din" which was liked through out the Punjb and people started recognizing him with this character! I was born on December 19, 1919, in Lahore, My father was a very rich man and we had bungalows in Lahore and Jammu. He was a farmer who looked after vast acres of land. Be­cause of my love of classical music, I joined All India Radio as an actor and a singer. I was paid rupees 25 per month as a salary. My hobby was writing plays and all my dialogues were written by me. My name in the programme was Fateh Din and I soon became a household name. 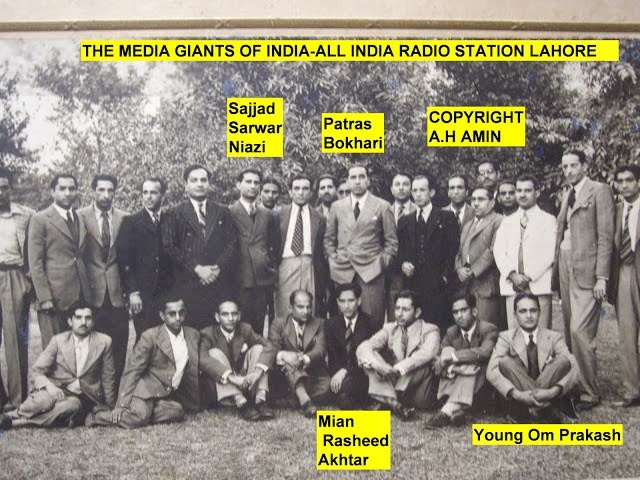 The programme was so popular in Lahore and Punjab, that people would crowd near a radio when my programme was being aired. Even now, my friends in Pun­jab who are still alive, remember Fateh Din. At the radio station, I met my guru of dialogue delivery, Sayyed Imtiaz Ali. He was a great writer and he is the man who wrote Anarkali. I resigned from AIR because they were paying me a sal­ary of rupees 40, when even the peons were getting more. But I still parted on amicable terms. My entry into films was typical. As I said, ‘I am fun loving and create a hangama wherever I go. I was at a friend’s marriage party, having the time of my life dancing and laughing, where Dalsukh Pancholi, a big producer from Lahore, noticed me. After the wedding, I went to my uncle’s house in Jammu where I received a telegram. It read: ‘Come immediately — Pancholi’. I was sure my friends were playing a joke but my uncles and cousins persuaded me to go. I arrived at Lahore and called Pan­choli from the station. But he said he did not know anybody called Om Prakash. I decided to return to Jammu that night and booked my ticket. To kill time, I met a few friends and went to my favourite paan shop. There I met Pran, who was not an actor then. He told me that Pancholi had indeed sent for me, only he did not know me as Om Prakash. He knew me as Fateh Din! I was thereafter introduced to his chief Production Manager, Ram Na­rain Dave, who appointed me at a salary of rupees 80 a month, to act in their film Daasi. In 1946 the riots started and Lahore was declared to be in Pakistan. There was lot of bloodshed and fires were burning everywhere. I was trapped with my family, my elder brother’s wife and chil­dren and my younger brother’s family. 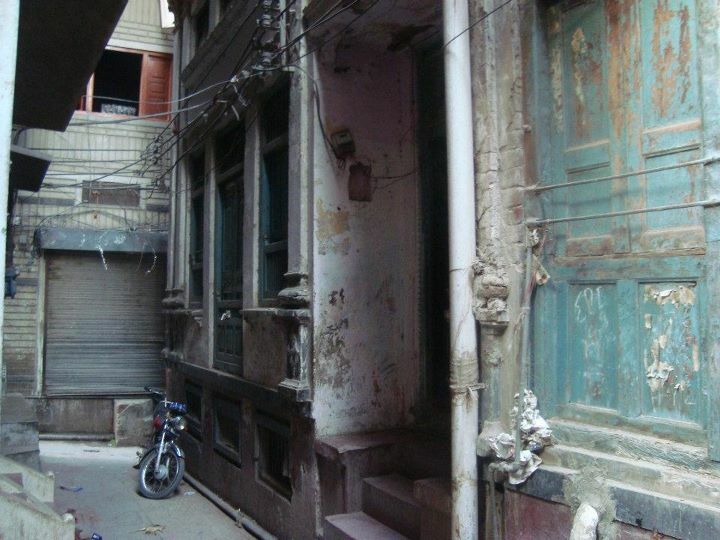 To reach Lahore railway station, we had to pass through Muslim inhabited areas. And it was a Muslim family who rescued us and took us to the station. It was crowded with people clamouring to pay astronomical prices for tickets. My elder brother opted to stay behind and I was the only male with a whole lot of women and children. There were two ways to leave Lahore. One could either go to Jammu or to Amritsar and we decided on the latter.